Did negligent security contribute to this senseless Macon apartment shooting? A shooting outside the Westminster apartment complex reportedly left 25-year-old Justin Howe and 24-year-old Tamarcus Cole injured Monday morning, November 13, 2017. 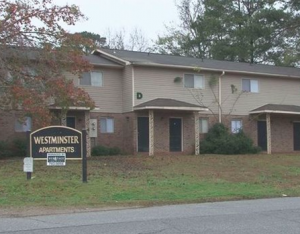 According to WMAZ 13 News, Mr. Howe and Mr. Cole were “in the parking lot” of the “Westminster Apartments on North Atwood Drive” when gunfire erupted. Both victims were transported to the Medical Center, Navicent Health with injuries. Their current conditions have not been released. Police have apparently not yet identified a suspect, per Macon Telegraph reports. Have there been prior incidents of violence on or near property? What security measures, such as gated-entry, bright lighting, surveillance cameras, and security patrols, were in place to deter crime at the time of the shooting? By law, property owners in Georgia are required to protect all those legally on the premises from any foreseeable harm. Should the facts of this matter reveal that the apartment complex owner or management failed to provide adequate security, Mr. Howe and Mr. Cole may seek justice and elect to pursue legal claims for their injuries.